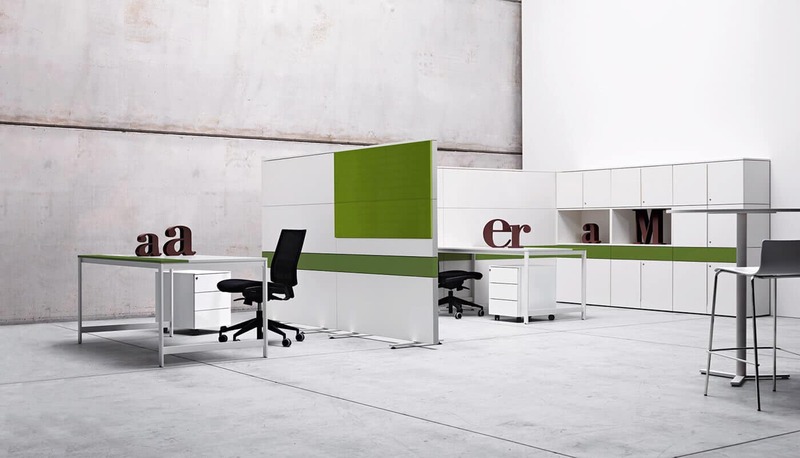 K_Word consists of desks, free-standing partition walls and cabinets systems that have been studied to interact among themselves and to create flexible work environments which can be re-shaped in relation to the specific operative needs and competences that exist within a work team. The desks, the “heart” of the K_Word system, base their individual character and identity on the use of two different types of structure, both of which are designed to fit the needs of an office space that is always more multi-functional. 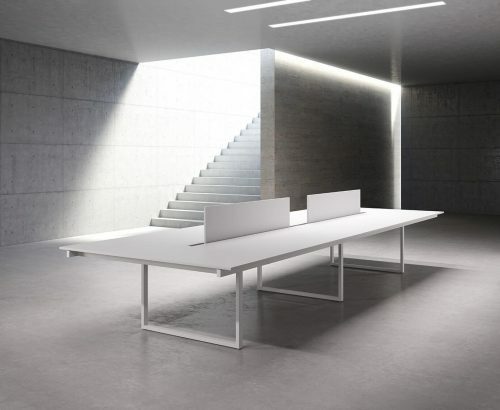 The trestle structure and the t-shaped leg, both elegant and minimal in design, are available in black or white colour to match the worktops, and support in the best possible way the most recurring layout situations, from individual workplaces to the most intensive work stations. The worktops, which are characterised by an essential geometry and clean-cut lines, are available in different widths and depths. 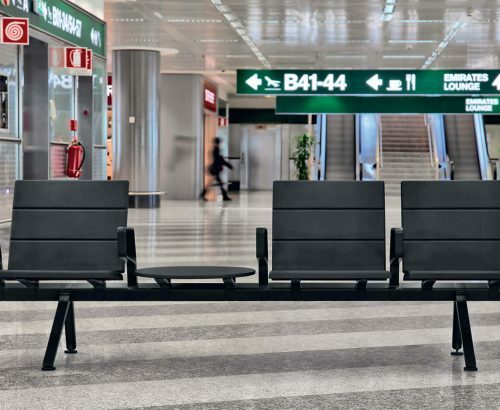 They can be equipped with a wide randge of accessories, in order to add both functional and aesthetic value: from coloured top-access stripes to underlying cable trays, up to light and repositionable frontal panels. 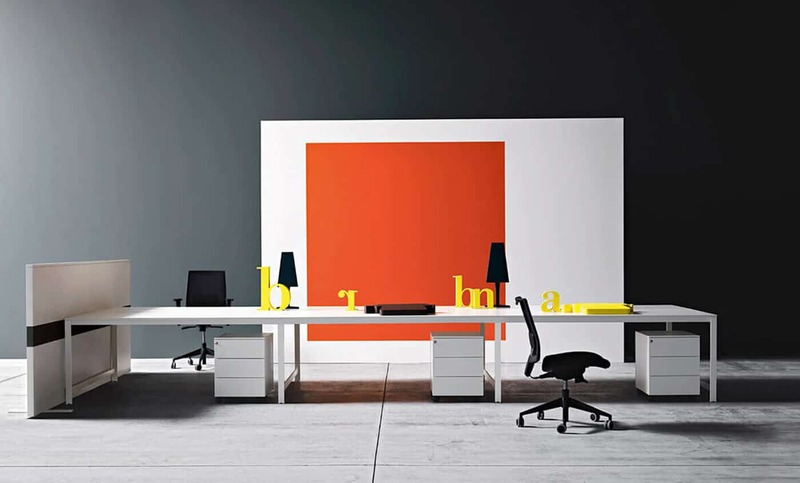 All desks can be used as a free-standing elements, to guarantee the maximum flexibility in reshaping the spaces. Alternatively, they can share their structural elements to form aggregations, in order to reduce the number of components and, consequently, cut the costs for the final user. 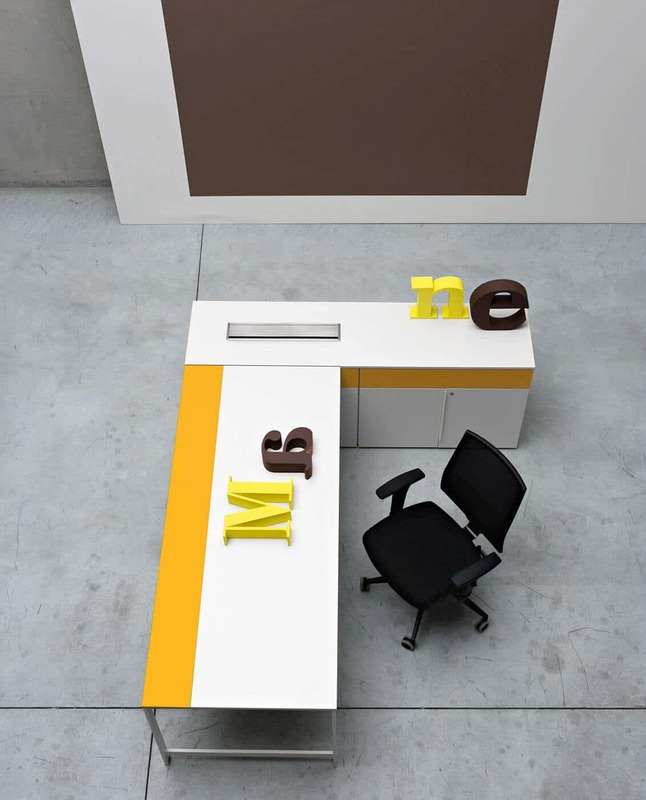 The essence of all the other elements in the system is based on the same philosophy: with the desks, they contribute to the creation of multiple work environments brought toghether by a common formal identity, and at the same time functionally variegated: from open space to cubicles, from intensive operative spaces to managerial offices. 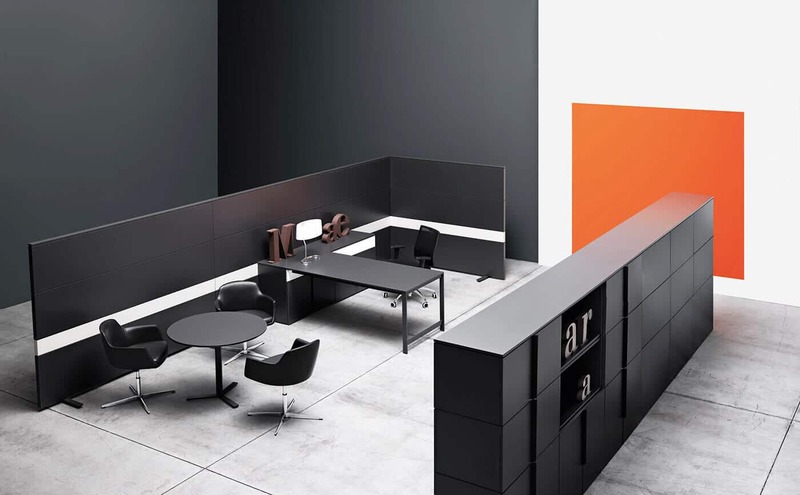 The partition walls, which are characterised by modularity in height, are available in an freestanding version or connected to the desks. 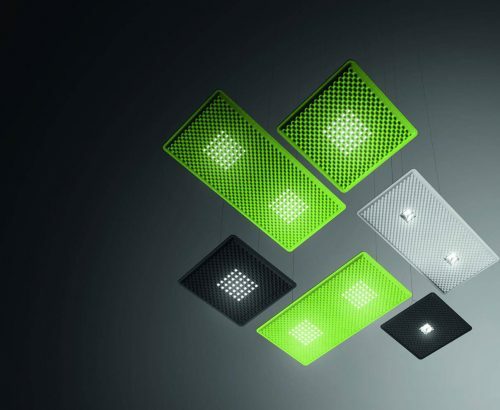 They can be easily arranged to create any aggregation, and equipped with cable raceways at the characteristic coloured stripe and with acoustic panels of different heights. In continuity with walls, the cabinets have been studied in order to contain and to divide the spaces, with particular attention to the quality of the finishings on all the sides. Like the dividing walls, they can integrate systems for cables distribution, and can increase in height to satisfy every storage need, from the desk extension to the traditional cabinet, up to the third level. The operative system is completed by the circular meeting tables and conference aggregations, wich perfectly fit the formal identity of the desks, reconsidered and reinterpreted in order to satisfy the specific needs of different situations, from the meeting zone in the manager’s office to the large conference room. K_Word completes its offer with a series of pedestral tables and upholstery designed for break and relax areas, and able to create real and proper furnishing “landscapes” where relations and interaction are improved in order to increase comfort and productivity in the office. K_Word therefore emerges as a product capable of complying with multi-disciplinary specificity and, thanks to the hierarchical transversality of its elements, of creating a climate of joint collaboration that provides an incentive to cohesion on the part of work group. The possibility of devising a custom-made environment also makes carrying out the various operative activities much easier. The attitude of favouring the manifestation of each individual’s characteristic personality contributes to improving the productivity of whoever utilises it.